Kyle and Robin Weideman wanted to find that perfect North Shore property for their family to enjoy, while at the same time protecting the land and water that makes the area so important to our state. And now, thanks to their hard work and generosity, almost 1,000 acres of iconic North Shore wilderness wedged between Gooseberry Falls State Park and Split Rock Lighthouse State Park is protected forever with a conservation easement through the Minnesota Land Trust. Over the past decades more and more private land along the North Shore has been developed, negatively impacting the wildlife habitat, waterways and scenic beauty of one of Minnesotas gems. The Minnesota Land Trust has long been working with landowners in the Arrowhead region to balance this new development with the need to conserve the natural attributes that make this area so special. By protecting his unique property, the Weidemans have helped to connect a large block of habitat between two of Minnesota’s favorite state parks and continue the North Shore’s conservation ethic. More than anything though, the property will ensure that the natural habitat between Gooseberry Falls State Park and Split Rock Lighthouse State Park will stay the way it is for all Minnesotans to enjoy. But perhaps just as important, because this property lies at the headwaters of the Gooseberry River, protecting it will also help ensure that the river itself will continue to have high water quality and cold temperatures needed to sustain its trout population. 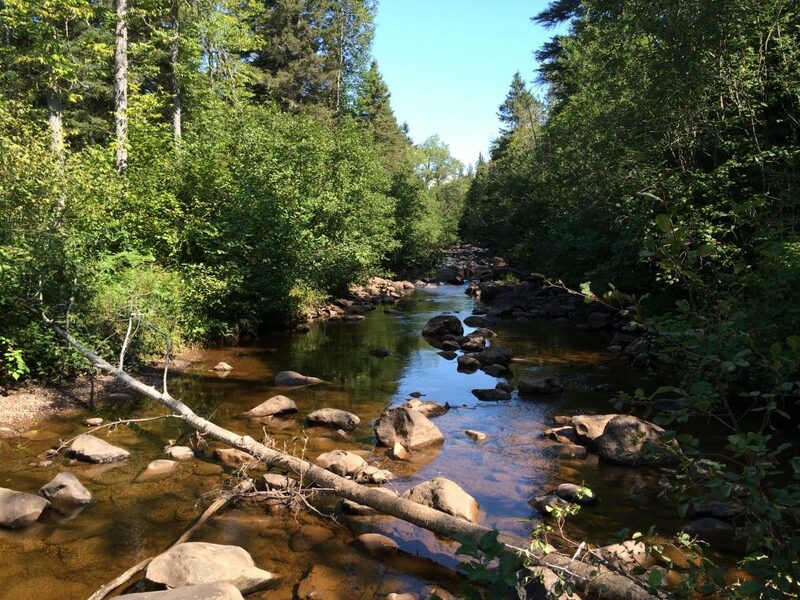 Whether it be the Gooseberry River, the Superior Hiking Trail or the scenic lands along Highway 61, private landowners’ actions are key to the future of the region. This permanent conservation easement was made possible by the members of the Minnesota Land Trust, with funding from the Outdoor Heritage Fund, as appropriated by the Minnesota State Legislature and recommended by the Lessard-Sams Outdoor Heritage Council (LSOHC). Thank you also to Kyle and Robin Weideman for protecting this unique property forever.